SAN BERNARDINO, CA - The Inland Empire 66ers of San Bernardino organization stands behind team member, Kyle Survance Jr., a Houston, TX native, and University of Houston alumni to support Hurricane Harvey relief through both item and monetary donations. The 66ers organization, including staff and players, have banned together to collect clothing and shoes to donate to the U of H in efforts to help victims in need after the Hurricane. Survance's former baseball coach at the university, Tom Whitting, reached out to any baseball team, regardless of the level, willing to offer any help. After showing the message to 66ers Manager Chad Tracy, the team and organization unhesitatingly jumped on board. "It was awesome seeing how quickly everyone responded to help out," Survance expressed, "witnessing how quickly everything was coming together is just a reminder of how many people care about what's going on down there and it's a great feeling. I can't thank the 66ers enough for their help." Alongside the efforts of donating clothing items, the 66ers organization will be making a monetary donation to the relief fund. The team will be holding a game worn jersey auction during their last home game, on Thursday, August 31st. All proceeds from the auction will be donated. In addition to the game worn jerseys by the team Thursday night, the 66ers will be auctioning off a framed number 27, Mike Trout autographed 66ers jersey. 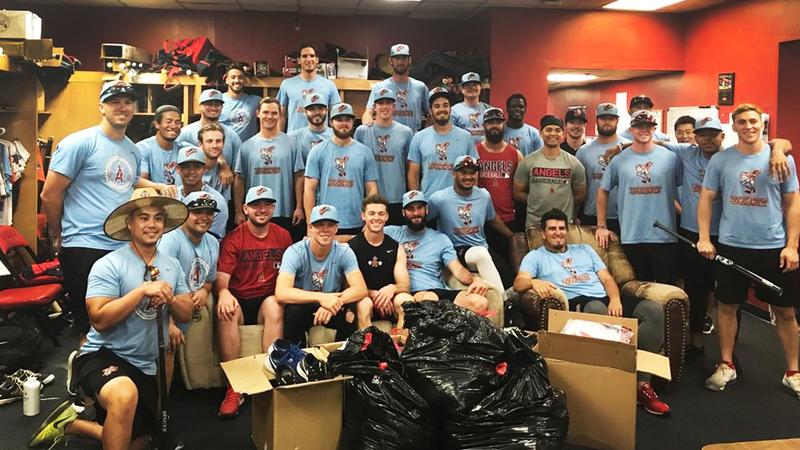 "Minor League Baseball has been very active to help those in need in Houston," Alex Groh, 66ers Assistant General Manager explains, "so we are just trying to do our part as well, especially since Houston is home to one of our players."